Our legal practice places a strong focus on insurance defense. However, our expertise extends to a wide variety of scenarios as our diversified team of attorneys has many years of experience successfully representing clients through intense preparation, thorough follow-through and fierce determination in winning in the event a case goes to trial. The Firm’s Insurance Coverage & Litigation Practice Group has earned a national reputation for its effective representation of insurance carriers in insurance bad faith claims. The Firm has represented commercial, homeowners, and automobile insurers in a wide variety of insurance bad faith claims, including arson cases, fraud cases, claims involving policy cancellation issues, coverage disputes, refusal to defend, failure to settle, and failure to procure insurance. The Firm has not only litigated these cases, but has successfully defended them at trial. We pride ourselves in our preparation for trial and our proactive approach to handling each case. We work efficiently and tirelessly to defend our insurance clients and believe they have been extremely pleased with the effectiveness and quality of the representation they have received over the years. The Firm’s Business Law & Commercial Litigation Practice Group recognizes that quite often commercial lawsuits can be avoided through careful planning and drafting of contracts and other documents. To that end, the Firm’s attorneys regularly draft and review contracts, leases, etc., for its business clients, and counsels with them on ways to avoid problems with customers and competitors. The Firm can also prepare and file the necessary documents to create a corporation or other appropriate legal entity. If there is any advice and counsel your business needs, we can either provide it or consult with the right person to address your needs. The Firm’s practice group has vast experience in representing businesses in a wide variety of litigated matters. 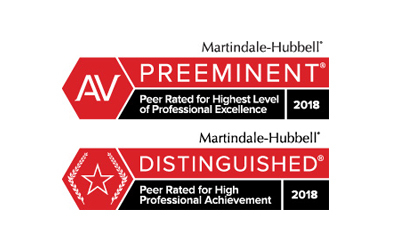 Since its inception, we have represented corporate and institutional clients with respect to contract disputes, commercial and consumer collection matters, and other business litigation. The attorneys in this practice group have extensive trial experience and are not intimidated by the prospect of taking a case before a jury in State or Federal Court. From the day the Firms doors first opened, its Personal Injury, General Liability & Product Liability Practice Group has handled the defense of these types of claims. We provide a wide array of services in this area of law, from initial investigation of an accident, defense of the claims, and through trial and appeal if a favorable settlement cannot be obtained. We also have the knowledge and experience to handle even the most complex tort cases. The Firm has been appointed as defense counsel for insureds by insurance companies issuing commercial general liability, commercial auto, personal auto, professional liability, employers liability, directors and officers liability, and many other specialized lines of policies to defend them in either State or Federal Court. The Firm’s Labor & Employment Law Practice Group has represented many clients on employment matters serving as both counselor on how to avoid employment law disputes and defending claims filed by employees. We have defended suits involving wrongful termination, sexual harassment, wage and hour claims, sexual discrimination, non-subscriber, and ADA discrimination. As in other types of litigation, we believe the key to handling the case in the most effective and efficient manner involves early and thorough investigation and evaluation of the merits of the case. The Firm has advised its clients on employee handbooks, employment agreements, employee discipline issues, and employee terminations. We have also provided assistance to clients challenging unemployment benefit claims, and responding to assertions that they have acted improperly in hiring employees with non-competition agreements. The Firm’s Governmental Law Practice Group has provided legal representation of governmental entities for over 20 years. This has involved everything from defending tort claims and whistleblower lawsuits to advising governmental entity as its counsel on the Texas Open Meetings Act and/or Public Information Act, to serving as a governmental entitys prosecutor. 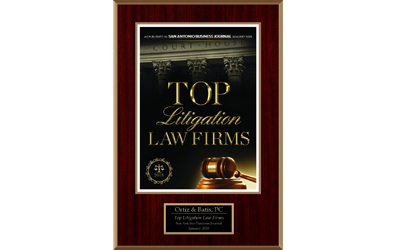 With regard to litigation, the Firm has defended government entities from allegations such as civil rights violations, premises liability, excessive force, discrimination, and automobile accidents. The skills developed in defending all tort claims give the Firm’s attorneys a marked advantage in handling claims against governmental entities. In defending such suits, we are particularly sensitive to the unique position a governmental entity may find itself in when defending a lawsuit. We recognize the possible impact of publicity about a case, and take all such aspects into account when evaluating the merits of a case and making recommendations to the client. We have extensive experience in dealing with city councils, county commissioners, and other governmental governing bodies and firmly believe in establishing a strong working relationship with them and their representatives. The Firm’s Construction Litigation Practice Group represent clients in State or Federal Court, in arbitration proceedings, and in various alternative dispute resolution forums in connection with litigation and claims arising out of the construction process, including contract performance and termination issues, allegations of construction defects, and allegations of defective or negligent design claims. We routinely handle a full range of construction disputes and litigation to include breach of contract claims, change orders, collection remedies, construction insurance, damage analysis, delay and extra work claims, design and construction defect claims, mechanics liens, prompt payment, and retention issues. The attorneys in this practice group have successfully defended trucking companies in lawsuits in State and Federal Court, including those involving personal injury and/or death. Our experience allows us to capably advise clients regarding the preparation and presentation of a strong defense.